Jacqueline has over a decade of federal policy and advocacy experience working on an array of legislative issues, including women’s issues, health care access and equity, higher education, voting rights and civil rights. At PPFA she is responsible for leading the strategic direction of the organization’s federal policy priorities on Capitol Hill, implementing effective issue campaigns, guiding coalition efforts and affiliate engagement on abroad range of reproductive health and rights issues. 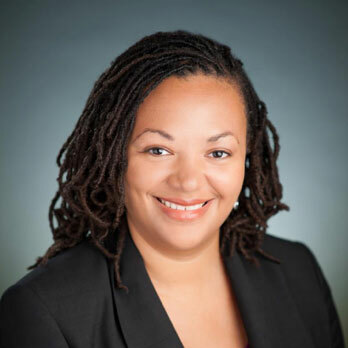 She began her career as the Associate Director for the American Civil Liberties Union (ACLU) of Indiana and as a legislative Women’s Research and Education Institute (WREI) Fellow in the office of Congressman Robert C. Scott of Virginia. In 2016, Jacqueline also completed the first Rockwood Fellowship for Reproductive Health, Rights and Justice. A proud native of Louisville, Kentucky, she is a graduate of Western Kentucky University and the Indiana University School of Law in Indianapolis, Indiana and licensed to practice law in the state of Indiana.